You ever listen to some music and think to yourself “Wow, that sounds great!” I’m not talking about the band or the song, I’m talking about the SOUND of it. The drums are huge, the bass is punchy, the guitar tones come through, the vocals have presence, and the entire package is clean and brilliant. So how did it get that way? Proper production that’s how. A lot of things are necessary to making a recording with great quality: the band and their songs , recording equipment and place to record, and a producer. 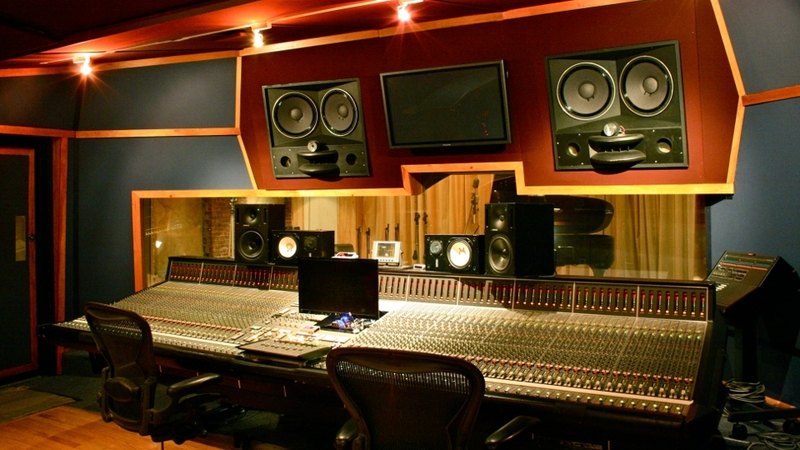 The pre-production process is a necessity for any recording project. This is an opportunity for the band and the producer to put their heads together and come up with a battle plan to record the band and their songs in the best way. Often times during this process the songs are reworked with the assistance of the producer in order to maximize the tracks for recording. I have spoken to producers who have told me that sometimes a band has reworked all of their songs intended for an album based upon the producers’s input. Over the years some producers have become stars in their own right often sought out by artists for the particular “sound” that is associated with them . Does this change the band? I don’t think so, in fact, I think that a working relationship between a band and a producer over time can become a magical thing. Think of the relationship between Rick Rubin and the Red Hot Chili Peppers, magic, sheer magic. Sometimes the artist puts on the producer’s hat as well. This can work for some and be too daunting for others. I feel that this can be exhausting both physically and mentally and takes a superhuman effort to pull off. Then there is the producer who is also a musician who does double duty, producing AND playing on project he is working on. While this sounds like it would be cool for the producer it makes me wonder if something is lost on either side because of the hard work it takes to play and produce. I know some who have pulled it off successfully, more power to them. Chris Collier and his double duty work on the Jeff Sandoval and Mike Araiza Project song “It’s All I Need” comes quickly to mind. Here’s a piece of advice to up and coming bands: Do yourself a favor and make sure you pay attention to the production of your recordings, it will pay off in the end. I wish to thank the following producers for the body of work they have given to the world of music: George Clinton, Roy Thomas Baker, Jerry Wexler, Jimmy Miller, Trevor Horn, Steve Lillywhite, Jeff Lynne, Jimmy Iovine, Sam Phillips, Berry Gordy, Mutt Lange, Teo Macero, Jim Steinman, Chris Thomas, Daniel Lanois, Todd Rundgren, T Bone Burnett, Arif Mardin, Brian Wilson, Brian Eno, Rick Rubin, Phil Spector, Nile Rodgers, Quincy Jones, Sir George Martin, Chris Collier, Sterling Winfield, Steve Thompson. While in no means complete, these producers quickly come to mind for me. In conclusion, take out that favorite recording and listen to it, I mean REALLY listen to it. The mix of bass, drums, guitars, and overall presence combined with the talent of the band. Then look at the production credits, seek out the producer and thank them. This entry was posted in Artist, Bassists, Blues, Classic Metal, Classic Rock, Drummer, Glam, Guitarists, Heavy metal, Internet Radio, Metal, Music, Outlaw Metal, Punk, Rock, Rock N' Roll, RockStar, Sleaze, Surrealist, Tattoos, Thrash Metal, Vocalist, Whiskey Metal, Wornstar Clothing and tagged 80's, Arif Mardin, Berry Gordy, Bleach Bang, Bleach Bangs, Bleach Bangs Radio, Brian Eno, Brian Wilson, Charlie Owens, Chris Collier, Chris Thomas, Classic Rock, Daniel Lanois, George Clinton, Glam, Glam Rock, Hard Rock, Heavy Metal, Jeff Lynne, Jerry Wexler, Jim Steinman, Jimmy Iovine, Jimmy Miller, Metal, Music, Mutt Lange, Nile Rodgers, Phil Spector, Quincy Jones, Randy Norris, Rick Rubin, Rock, Rock N' Roll, Rock Star, RockStar, Roy Thomas Baker, Sam Phillips, Sir George Martin, Sterling Winfield, Steve Lillywhite, Steve Thompson, T Bone Burnett, Teo Macero, the Hellion, the Hellion Rocks, Todd Rundgren, Trevor Horn. Bookmark the permalink. Sterling definitely belongs there. He’s one of my heros! Sterling Rocks!!! It’s an extreme pleasure to mentioned. Thank you sir!! !